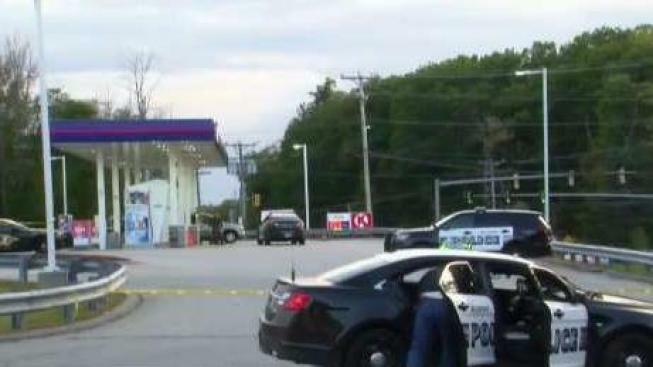 Joseph Mazzitelli was shot and killed Saturday by police officers outside of an Irving gas station in Belmont, New Hampshire. One person was killed in an officer-involved shooting in Belmont, New Hampshire Saturday afternoon. Joseph Mazzitelli, 46, was shot by a Belmont police officer just before 3 p.m. at an Irving Gas Station located at 9 Plummer Hill Road. According to Attorney General Gordon MacDonald, an officer recognized Mazzitelli at the Irving as the subject of several outstanding warrants. The officer confronted Mazzitelli, who acknowledged his identity and wanted status. MacDonald said that at this point Mazzitelli drew a firearm. The officer then drew his weapon and shot Mazzitelli once. Mazzitelli was transported to the Lakes Region General Hospital where he was later pronounced dead from his injuries. The officer was not injured in the incident. Eleven eyewitnesses inside the Irving were also unharmed. The incident remains under investigation. Anyone with information on the incident or on Mazzitelli is advised to contact Belmont police at 603-223-8849.